2019 English language workshop on SKAD - Registration now open! Please visit www.diskurswissenschaft.de for up-to-date information and details concerning registration, venues, etc. Following the success of the last two international workshops with participants from different countries spanning from Indonesia to Brazil, from Japan to the Netherlands, from Scotland to Poland and from Canada to Russia, there will be another introductory workshop in English on the Sociology of Knowledge Approach to Discourse (SKAD) at the University of Augsburg in 2019. The organizers invite novice as well as experienced academics from a wide range of disciplines, including but not limited to sociology, ethnology, political science, linguistics, psychology and educational science, to explore the potential of this approach to studying discourses in the context of their own projects and research. Discourse Studies today cover a large field of approaches across the social sciences, ranging from work inspired by Foucault to Critical Discourse Analysis and through to hegemonic stability theory, corpus linguistics, and on to more interpretive approaches. SKAD is perhaps the most recent major approach to emerge in this field, drawing from Berger & Luckmann's sociology of knowledge, the interpretative paradigm in pragmatist sociology, and core Foucaultian concepts in the analysis of regimes of power/knowledge. In doing so, SKAD re-directs discourse research towards Foucaultian research interests about questions of social relationships of knowledge & knowing and politics of knowledge & knowing. Concerning itself with ‘ways of doing’, it uses elements of qualitative research design (like theoretical sampling, sequential analysis, analysis by contrasting cases, category building, discourse ethnography) and interpretative analytics. 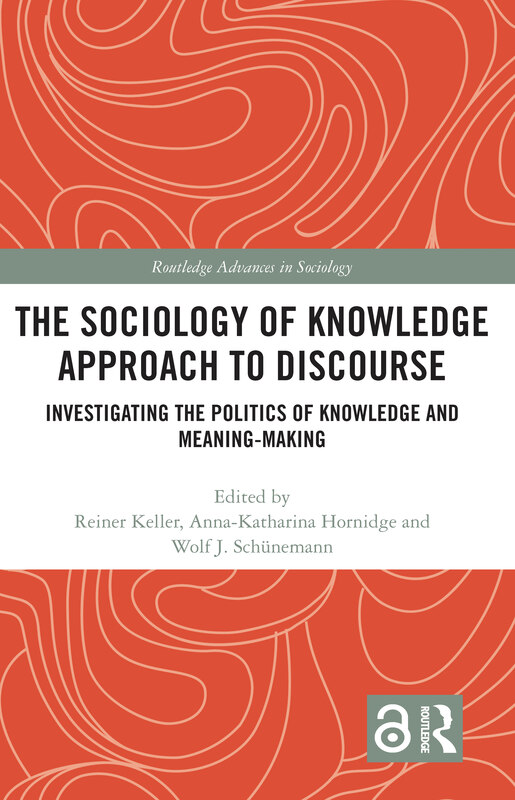 Since the late 1990s, the Sociology of Knowledge Approach to Discourse (SKAD) has experienced considerable popularity in discourse research in Germany and several other countries. Today, it informs a large amount of discourse research and publications in the field of discourse studies. Workshops introducing theory, methodology and methods of SKAD research have been established in Germany for more than 15 years now. Workshops in French and English have followed suit in the last years (e.g., in the United States, Switzerland, Austria, France, Denmark, Belgium, United Kingdom, Romania). he Augsburg SKAD summer school builds on the broad interest in SKAD in international contexts. SKAD workshops address core issues of the concrete doing and practice of discourse research. It addresses colleagues from the Social Sciences and the Humanities who are interested in learning about SKAD and its particular profile within the field of discourse studies as well as in doing SKAD research/using SKAD methodologies in their own concrete work in the context of discourse research. SKAD: what is at stake when using SKAD in discourse research? During the workshop, small data sessions will be included, that is participants will work together on concrete data. Furthermore, participants may present their own research project and data, which will discussed in a group setting. The session will discuss empirical research on discourses and regimes of power/knowledge in different social areas, using the Sociology of Knowledge Approach to Discourse (SKAD). This perspective on discourses and their analysis draws on Foucault, Berger and Luckmann and the interpretative paradigm of sociology including symbolic interactionism and "communicative constructivism". In comparison to the Foucauldian tradition, SKAD focuses more on social actors and societal arenas of discursive disputes. In comparison to Berger & Luckmann, it expands analysis of societal processes of knowledge construction in institutional contexts and in public or semi-public arenas. Integrating both, it re-orientates discourse research towards questions of social relationships of knowledge and politics of knowledge – following knowledges, their production and power effects through societies. In doing so, SKAD takes also into account research questions concerning situational analysis and organizational discourse as well as the challenges of applied research in the field. The session invites researchers using the SKAD framework and related approaches to present their work and/or to discuss further perspectives. Professor Keller is member of the executive board of the German Sociological Association and co-editor of the Journal for Discourse Research/Zeitschrift für Diskursforschung. Over the last decade, the research programme outlined by the sociology of knowledge approach to discourse (SKAD) has spread to many disciplines in social science. A common interest in discourse research has resulted in a widely distributed community that prevalently, but not exclusively, uses qualitative research designs to examine forms of 'discursive construction of reality'. Corresponding studies may be found in sociology, but also in neighbouring disciplines such as political science, historical science, educational science, theology, linguistics, and criminology, among many others. This approach to discourse research combines social constructionist and interpretive-pragmatic schools of thought with the theoretical concepts and lines of investigation of discourse in the tradition of Michel Foucault, with the intention of analysing knowledge relations and policies in society. Bearing these core tenets in mind, the original approach has nonetheless been successfully amended, expanded, and occasionally modified to meet the demands of different fields of study and forms of data. Following the Augsburg conferences in 2013, 2015, and 2017 on interpretive and sociology of knowledge discourse research with over 120 participants and 40 contributions from different disciplines in each year, the upcoming conference would like to continue in the spirit of an interdisciplinary discussion about the foundations and applications of SKAD and SKAD-inspired discourse research, as well as related perspectives. Following the success of last year’s inaugural international workshop in English, with 26 participants from 14 different countries spanning from Indonesia to Brazil, from Japan to the Netherlands, from Scotland to Poland and from Canada to Russia, there will once again be an introductory workshop on the Sociology of Knowledge Approach to Discourse (SKAD) at the University of Augsburg in 2018. The organizers invite novice as well as experienced academics from a wide range of disciplines, including but not limited to sociology, ethnology, political science, linguistics, psychology and educational science, to explore the potential of this approach to studying discourses in the context of their own projects and research. Discourse Studies today covers a large field of approaches across the social sciences, ranging from work inspired by Foucault to Critical Discourse Analysis and through to hegemonic stability theory, corpus linguistics, and on to more interpretive approaches. SKAD is perhaps the most recent major approach to emerge in this field, drawing from Berger & Luckmann's sociology of knowledge, the interpretative paradigm in pragmatist sociology, and core Foucaultian concepts in the analysis of regimes of power/knowledge. In doing so, SKAD re-directs discourse research towards Foucaultian research interests about questions of social relationships of knowledge & knowing and politics of knowledge & knowing. Concerning itself with ‘ways of doing’, it uses elements of qualitative research design (like theoretical sampling, sequential analysis, analysis by contrasting cases, category building, discourse ethnography) and interpretative analytics. Since it first appeared in the late 1990s, the Sociology of Knowledge Approach to Discourse (SKAD) has experienced considerable popularity in discourse research in Germany and several other countries. Today, it informs a large amount of discourse research and publications in the field of discourse studies. Workshops introducing theory, methodology and methods of SKAD research have been established in Germany for more than a decade now. Workshops in French and English have followed suit in the last few years (e.g., in the United States, Switzerland, Austria, France, Denmark, Belgium, United Kingdom, Romania). The Augsburg workshop builds on the emerging interest in SKAD in international contexts and will be the starting event for an annually recurring series of SKAD workshops in English at the University of Augsburg. SKAD workshops address core issues of the concrete doing and practice of discourse research. It addresses colleagues from the Social Sciences and the Humanities who are interested in learning about SKAD and its particular profile within the field of discourse studies as well as in doing SKAD research/using SKAD methodologies in their own concrete work in the context of discourse research. During the workshop, small data sessions will be included, that is participants will work together on concrete data. Furthermore, participants may present and their own research project and data, which will discussed in a group setting.